How does a “natural” cholesterol fighter work? 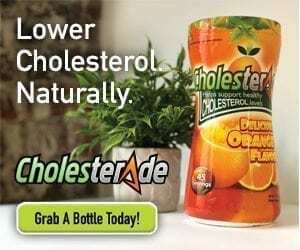 If you follow our blog, you’ve probably already read that Cholesterade® owes its effectiveness to organic Acacia fiber, which the body stores in layers that release into the GI tract at different times during the day to best utilize the formula. But you may still be wondering—what makes Acacia fiber so great? Let’s start with some background: The body needs cholesterol to perform essential functions, like helping the liver manufacture bile, helping the body digest fats, and building up certain hormones. Cholesterol also lubricates your circulatory system to ensure smooth blood flow. Our bodies produce most of our cholesterol in the liver, and we can make more cholesterol from the foods we eat if necessary. But if the body miscalculates and produces more cholesterol than it can process and use, the excess deposits itself inside the walls of blood vessels as plaque. This plaque buildup is highly dangerous, as it blocks the flow of blood in your arteries and often leads to heart attack. So how does Acacia fiber factor into all of this? Well, the soluble Acacia fiber in Cholesterade® interferes with the body’s absorption of bile from the liver. The body starts to excrete this bile more quickly, forcing itself to use up stored cholesterol to make more bile salts. Instead of leaving it to build up in your arteries, Acacia fiber encourages your body to put its cholesterol to work. The process is simple, natural, and safe. But, you may be thinking, if Acacia fiber is so great, why am I constantly hearing that low-fat diets are the way to fight cholesterol? Well, the answer is simple: they’re advertised to be effective. But while a low-fat diet may give you fast results in terms of weight loss, it can really mess with your health. If you want to keep your body and cholesterol in check, remember that all saturated fats are not created equal—it’s okay to bring back the butter. Reduce your triglycerides and raise your “good” cholesterol by following a low-carb diet, using cholesterol supplements (we suggest Cholesterade®), and cutting down on “white” foods: white bread, potatoes, white rice, crackers, and sugar.